Once Again, Electronic Voting Machines (EVMs) are under scrutiny. EVMs are being used, instead of paper ballot since few year in Assembly and General Elections. Ongoing debate is about the use of EVMs in Elections, whether they can be manipulated or not?Before starting the discussion, I would answer the question. YES, EVMs are not God-like and they certainly are not 100% tamper-proof. But It, certainly, is much safer than paper ballots . Going back to the paper ballot is certainly not the solution, rather it will be like going backwards in Electoral Reforms. We have better technologies to assist EVMs and Election Commission of India is experimenting with a few. 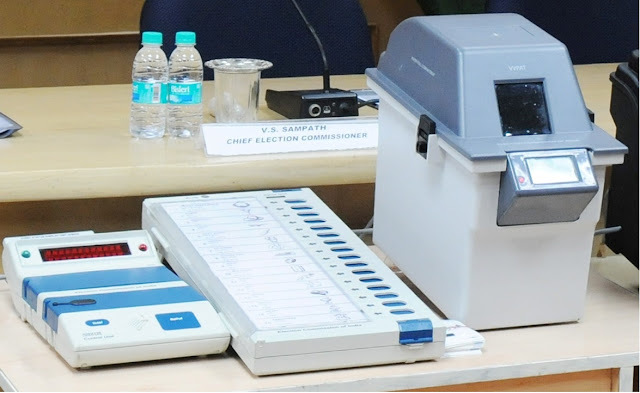 Voter Verifiable Paper Audit Trail (VVPAT) System is one such example. It is being used by the Election Commission of India alongwith EVMs in certain Constituent Assemblies to assist the voters. It helps the voters in verifying their vote.